is a remote coach expert application run by the folks at Ockam. 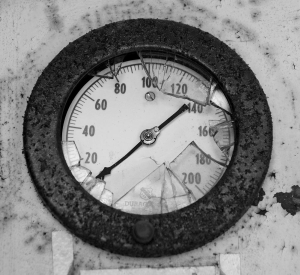 It specializes in remote diagnosis of your instrument system. You are free to make use of this service without charge, as long as you don’t abuse it. To use Tshooter, you will need to have installed the OS5 driver which includes the Remote Coach code. You can download the OS5 driver from here. Get your boat connected to the Internet. There is a detailed white paper on the subject here. 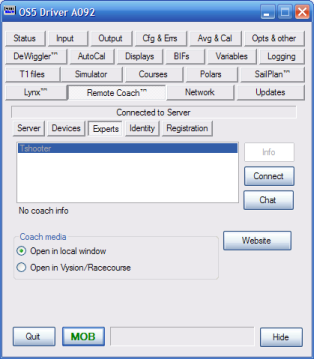 Start OS5 driver and pick the ‘Remote Coach’ tab. If you have a connection to the Remote Coach server, you should see ‘Connected to server’. Pick the Experts tab, select Tshooter, and press connect. Pick the Identity tab and fill in your boat info. These items will be used to establish your ID for future visits. Pick the Experts tab, select Registrar, and press connect. Your ID will be created in the RC database, after which you can select other experts as needed.